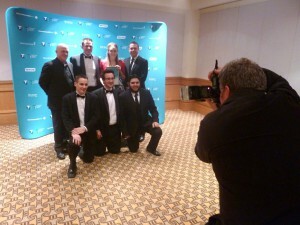 Being part of the Telstra Awards was an intensive and valuable exercise. It gave us the opportunity to revisit where we have come from and focus on all of our great achievements since our beginnings in 2007. This is something many business owners don’t specifically put time aside to do but even in hectic times it pays to have a look back and ponder your achievements. See the photos from our big night out, read some of the great messages of support we received and hear the words we would have spoken had we been given an opportunity to get up on the big stage and thank all of the people responsible for our success! We didn’t take out the winner’s prize this year but we so proud to be seen in the same light as all of the Telstra finalists. 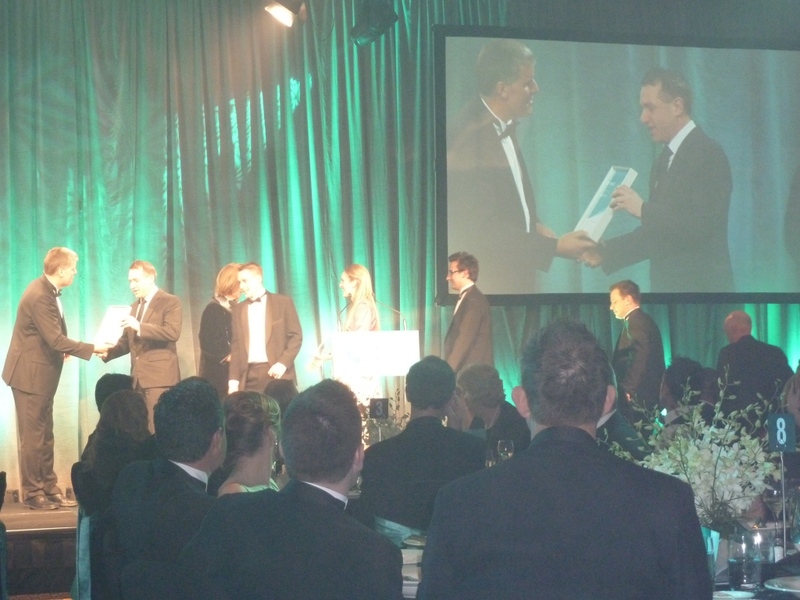 The businesses who won our categories were truly amazing and we were happy to see them up on stage being honoured by Telstra for their hard work and dedication and the success of their business. “…. a big thank you has to go to our clients who like us are working so hard to build something special for themselves and their customers. We are so proud to be working with such a great range of businesses from small to medium to large chains within retail, hospitality, health care, manufacturing, construction, security and many more. Working with such diverse clients has given us valuable experiences and knowledge that has helped us to be successful. Seeing our easyEMPLOYER software solution working to help them manage their staff, make their lives easier and give them back their valuable time to spend on what they want to be doing… that’s what truly makes our day. Thank you to my Mum and Dad for believing in our business so much they put everything they own on the line for us. Building a product based business around a sophisticated, state of the art product like easyEMPLOYER takes time and money and the payoff is sometimes so far in the distance you can’t see it. They were always able to share our vision and having family funding meant we could build our business on our terms… and that is priceless. Having a ‘family business’ – we have two sets of siblings working in the business – is also something that we are very proud of. Working with family is something that is as rewarding as it is difficult… there are many family businesses in this room tonight who are dealing with unique circumstances and the sensitivities that come with working with people you love. We are appreciative for having a great organisation like Family Business Australia to help us surround ourselves with other great family businesses… and together we can all support each other. A special mention goes to our partners – Rowena, Megan, Erin, Elva, Cath, and Alex – it’s important we get the support coming from home and I hope you all know how appreciative we are of this. 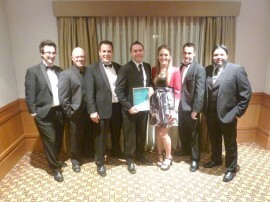 HRMWEB receiving our finalist award for the “Small Business of the Year” category. The HRMWEB Team – minus Mick (who is in China) and Alex (who was away interstate). Getting our official photo taken.